Let’s be honest. 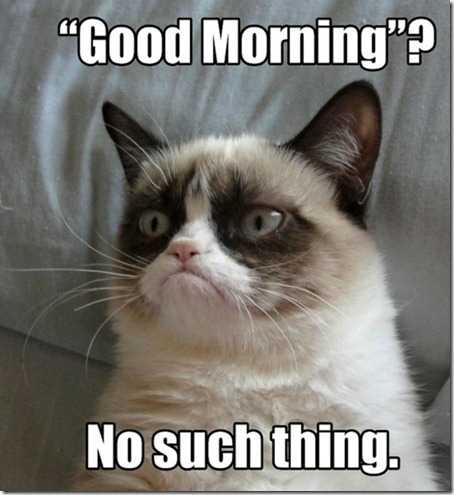 Most mornings look like this: get up late, jump in the shower, do half your makeup, throw on clothes, and run out the door. Then what? Stop at Starbucks and order a coffee and a bagel or breakfast sandwich. Why? Because it’s quick and easy. 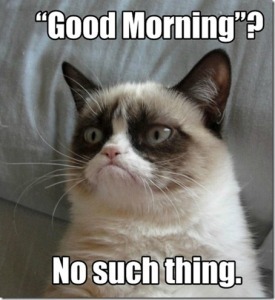 Who has time to actually get up early and make breakfast? That’s definitely not me. 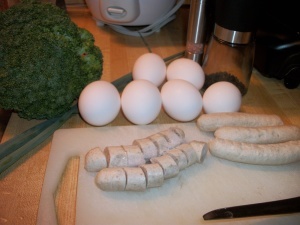 So in an effort to straighten out this Paleo lifestyle, I began prepping weekday breakfast on Sunday! Read on for the recipe. 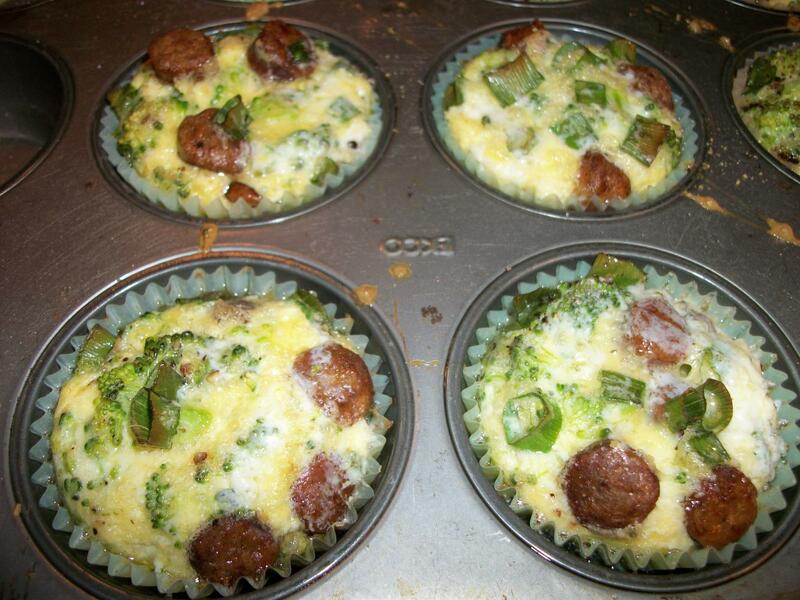 Gather your ingredients: eggs, sausage, broccoli, scallions, butter, salt, pepper, and cupcake liners. 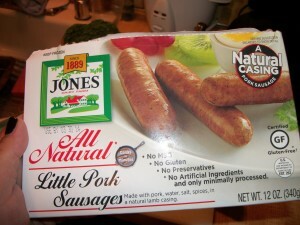 You can use any sausage you like – I always buy Jones All Natural Sausage because it’s one of the few brands that don’t include sugar, fructose, cane juice… on and on. Be sure to read labels because corn syrup always sneaks in where you least expect it! Chop the broccoli and scramble in with the eggs. Slice the scallions and set aside. Slice the sausage and cook fully in a frying pan. Drain on a paper towel and set aside to cool. Preheat the oven to 375°F. 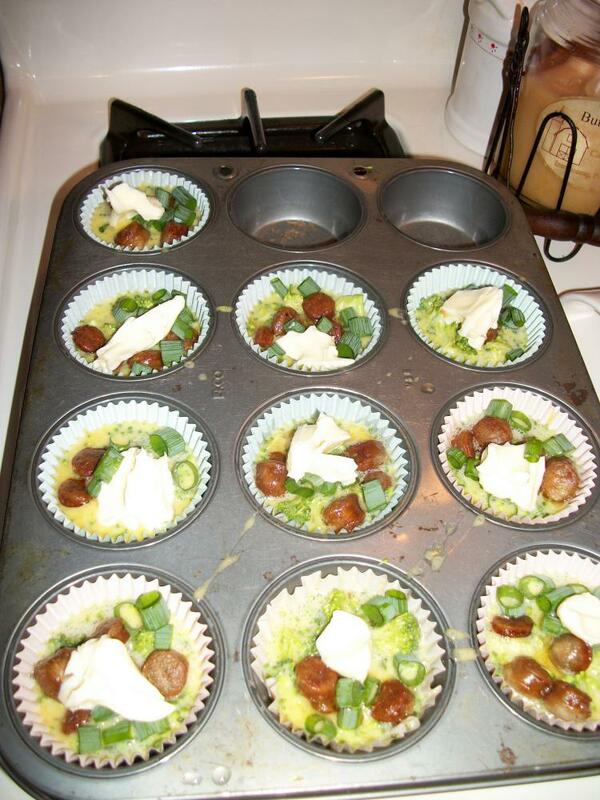 Line a muffin pan with cupcake liners and combine the ingredients. 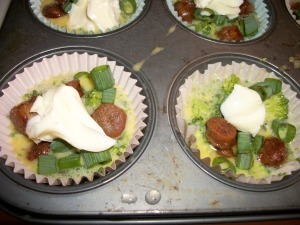 Pour in the eggs and top with the sausage and sliced scallions. Top it off with a small pat of butter. 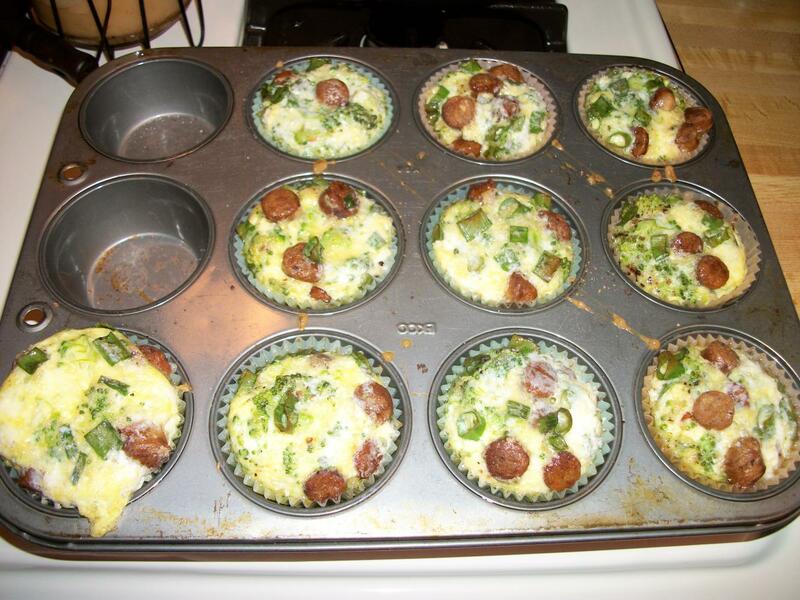 I have only 10 muffins pictured here, but the below recipe will make a dozen. I was running a little low on eggs 😉 Mmmmmmmmm…………………… Butter is a beautiful thing. Make sure to season with salt and pepper. Cook for 20 minutes. And voilà! Ok, I never said they look pretty but they are delicious and they travel well. Warm in the microwave for 20-30 seconds. Enjoy! 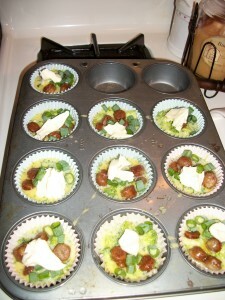 Preheat oven to 375°F and line a muffin pan with cupcake liners. Crack and scramble eggs. 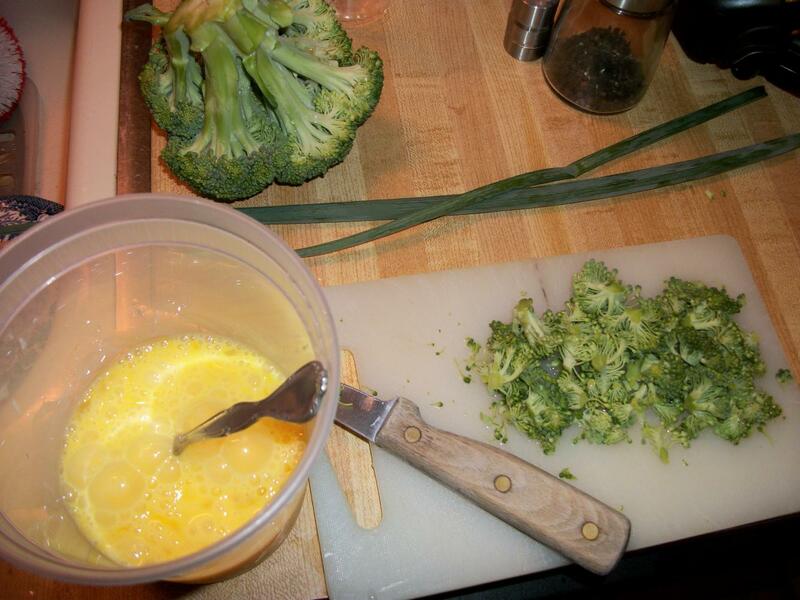 Chop broccoli and whisk in with eggs. Chop scallion and set aside. 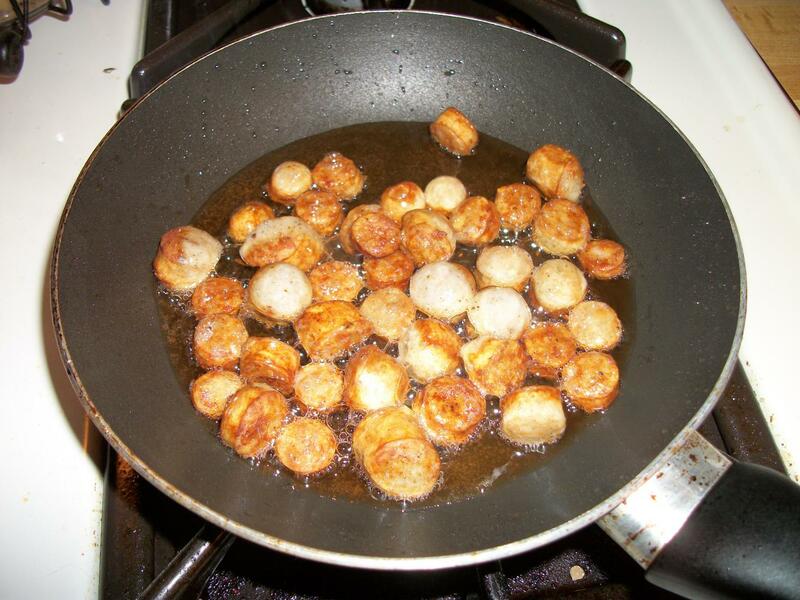 Slice the sausage links and cook fully. Drain on a paper towel and set aside to cool. 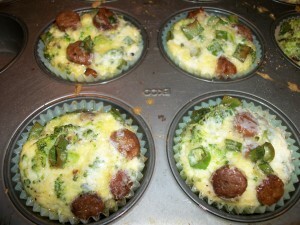 Fill the cupcake liners with the egg and broccoli scramble and top with the sausage and scallions. Top each muffin with a small pat of butter and season with salt and pepper. Reheat in microwave for 20-30 seconds and enjoy!